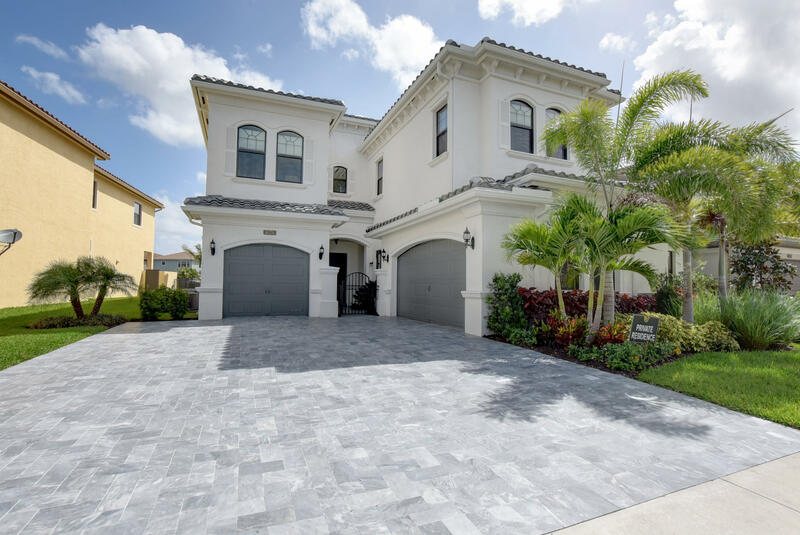 All Seven Bridges/Greenwich homes currently listed for sale in Delray Beach as of 04/21/2019 are shown below. You can change the search criteria at any time by pressing the 'Change Search' button below. "This gorgeous and hardly lived in Anabelle model is situated on a lakefront homesite with custom built private pool within the Greenwich community of Seven Bridges. This home features 5 spacious bedrooms, 6 full bathrooms, a game room plus a loft (see the attached floor plan). Offering ample storage space including walk-in closets and a 3-car garage. Exquisitely upgraded with premium designer finishes throughout. See the attached Features Sheet for a complete list of upgrades. Seven Bridges includes over nine acres of amazing resort-style amenities dedicated for residents use. From an impressive fitness center and exercise studio, saunas and massage rooms, and world-class tennis center to a gourmet restaurant and bar, grand lounge, card and game rooms. See docs for additional information"